For dinner this evening, I kept it quick and simple. It was hot and quite muggy here today after the thunderstorms we had last night. I spent the early evening working on a new bagel recipe so the kitchen was already warm from baking. I decided to make Copper River Salmon and was in the mood for a creamy Dijon mustard dill sauce to go on top...but I wasn't in the mood to turn on the oven and the stove again. I roasted the salmon on the grill in a large open foil packet and rather than make a sauce separately, I decided to whip something quick together and spread it on top of the salmon before putting it on the grill. It turned out great! I needed to keep it thick so it didn't run off while the salmon roasted. It was SO easy peasy. I whisked together some mayonnaise, Dijon mustard and fresh dill (you could add a squeeze of honey or honey substitute, too if desired). It stayed on top of the salmon as it roasted and kept the salmon super juicy and moist; hubby and I enjoyed it. I just sliced up some fresh tomatoes on the side and dinner was served! I snapped a few photos below and included the quick and easy recipe. I also included a sneak peek of my bagel experiment today. Enjoy! 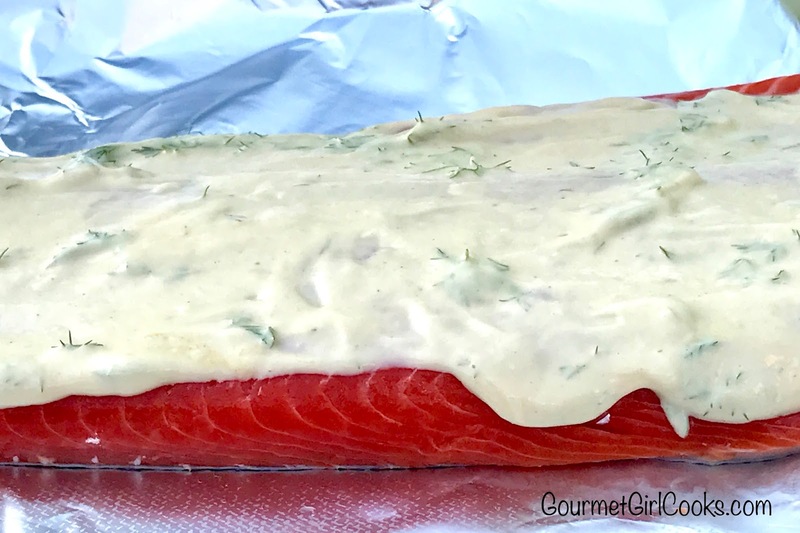 Place salmon in center of large sheet of foil. Season with salt. In a small bowl, whisk mayonnaise, Dijon mustard, and dill together. Spread the mixture over the top of the salmon. 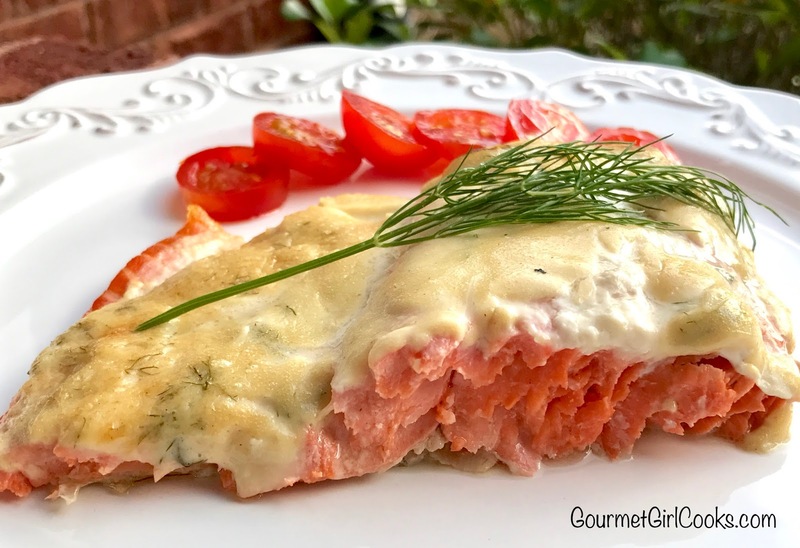 Gently crimp and form foil into an open packet around salmon fillet (keep packet open on top while roasting). Place on hot grill and close lid. Maintain grill temperature between 425 and 450 degrees F. Cook for 12 minutes. Remove and transfer foil packet to a platter or baking sheet. Crimp and close packet to allow salmon to continue cooking gently off the heat for about 5 to 10 minutes. 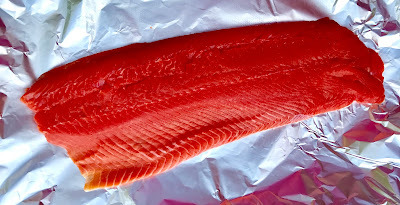 How I WISH I had access to that Copper River salmon!!! But in the meantime, I enjoy seeing YOU enjoy it so much!!! :) And I love all of the salmon recipes that you are giving to us. I cannot tell you how happy I am that you are back! NO ONE creates recipes like you do, Gourmet Girl, NO ONE!!!!!!!!!!! You are AMAZING!!! So, I CANNOT WAIT to see your bagel recipe when you feel it's ready. Greetings to you and I hope you're having a great day, Father's Day. I know you have a son (?) so likely you and your husband are enjoying Father's Day. I had one of THE BEST Dad's, so I need to remember and celebrate and be grateful for him today, but I do miss him... I know you understand since you lost your Mom whom you were obviously VERY close! 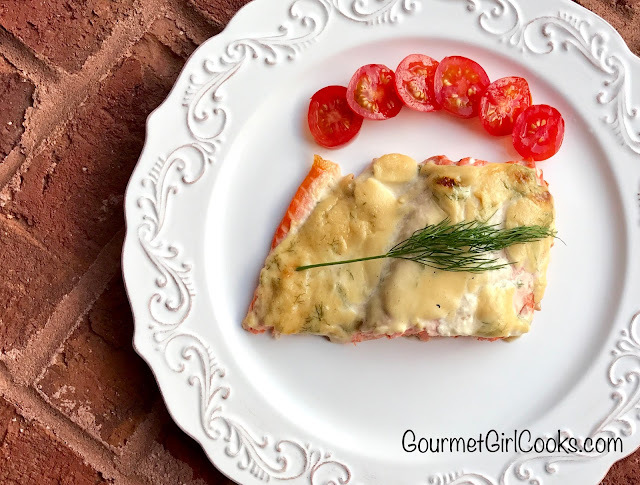 Sorry this is so personal, thanks again for that recipe and the wonderful sneak peek! Looks wonderful! Looking forward to hearing more about bagel experiment! 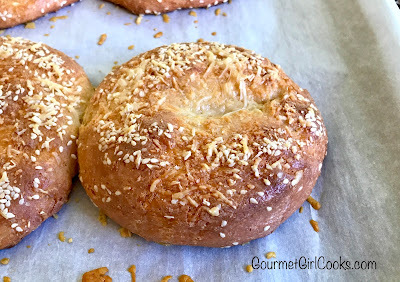 I need to try the Turkish style bread you whipped up in an earlier post! Thank you for great recipes. Looks wonderful! 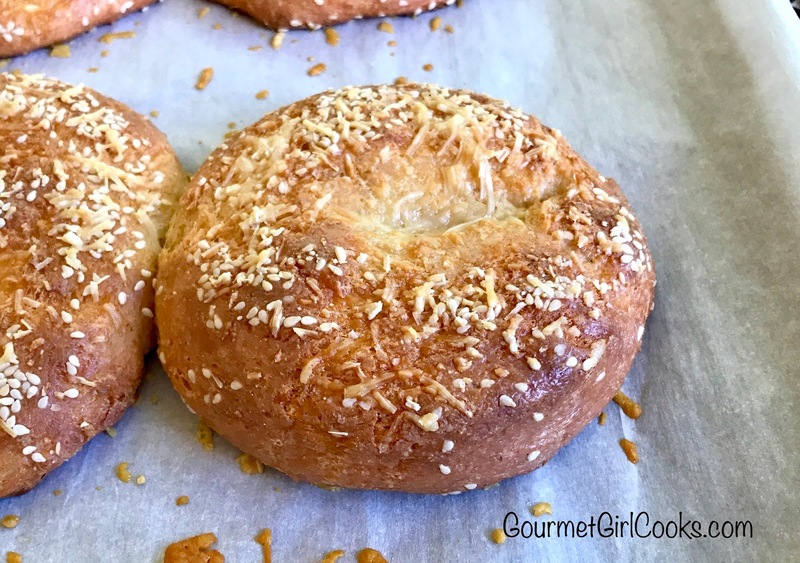 Looking forward to trying your Turkish bread recipe from earlier post and cannot wait to hear more about this new bagel experiment!